Dutton Books for Young Readers, 9780525446446, 16pp. Over a million young readers have enjoyed the wheels that go round, doors that open and shut, and people who go bumpety-bump. Today it remains as fresh and engaging as when it was first published twenty five years ago. To celebrate the anniversary, Paul O. Zelinsky has created an all-new cover featuring twenty five, hidden 25s. Some are the number 25 and others are 25 of something in the picture. Can you find them all? 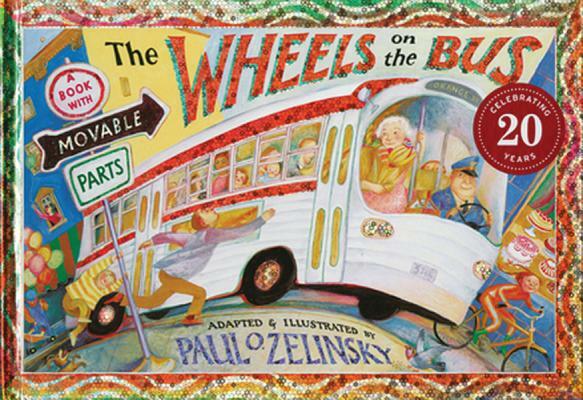 Paul Zelinsky was born in Evanston, Illinois. He attended Yale University, where he took a course with Maurice Sendak, which later inspired him to pursue a career in children's books. Afterwards he received a graduate degree in painting from Tyler School of Art, in Philadelphia and Rome. Paul Zelinsky lives in New York with his wife, Deborah.